By May 2018, Norwegian Cruise Line will not just have one but two ships visiting Cuba. Its Norwegian Sky is already sailing there from Miami, Florida, and the Norwegian Sun is set to join from Port Canaveral, Florida very soon. Having personally experienced the Caribbean island nation aboard the Sky’s inaugural call on Havana, I can attest to the joys of these itineraries. Cuba is one of the few remaining places in the region that has not yet been frequently descended upon by cruise passengers, and thus it is still very much a preserved time capsule. Everything you have seen in the movies is really there: classic American cars, stunning colonial architecture and warm friendly people. The Sky and Sun are ready to take you there on 4-day getaway cruises as conveniently as possible, roundtrip from now two U.S. homeports. From Miami, the Norwegian Sky goes to Havana for two days with an overnight plus the line’s private island of Great Stirrup Cay. Or do just one day in Cuba to add a stop in Key West, Florida. From Port Canaveral, the Norwegian Sun similarly calls on Havana for two days with an overnight as well as visiting Key West, Florida. Ashore in Cuba, all of Norwegian’s shore excursions are also fully OFAC-compliant. The company is authorized by the U.S. Department of the Treasury, Office of Foreign Assets Control (OFAC) to offer carrier services to authorized travelers between the United States and Cuba under the travel guidelines for U.S. citizen travel to Cuba. Guests need only ensure they have all the proper documentation in order before sailing. Besides the chance to ride in one of the aforementioned automobiles, travelers can also explore the UNESCO World Heritage site of Old Havana, check out former haunts of Ernest Hemingway and appreciate local paintings and photography at Fabrica de Arte Cubano. The famed Tropicana Cabaret also awaits with a breathtaking open-air evening production show on overnight itineraries. The nightclub was once a favorite of Nat King Cole, Josephine Baker, Cheo Feliciano and Rita Montaner. 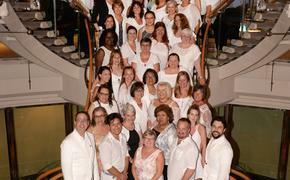 If the allure of Cuba alone is not enough, the experience onboard both Sky and Sun is very inclusive. Passengers will be able to partake in unlimited complimentary beverages at a dozen bars and lounges on each ship. Also, $50 of onboard credit is being offered on Cuban bookings made through January 31, 2018, so now is the perfect time to make a reservation. 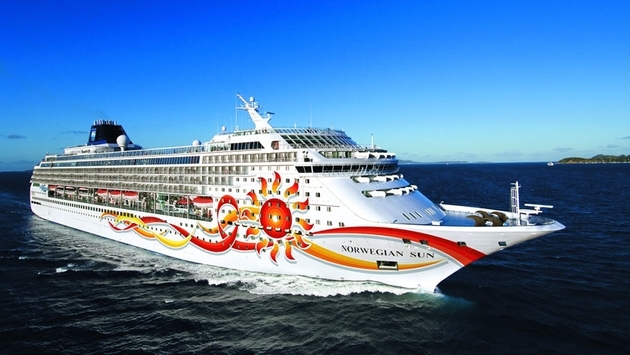 What’s more, the Norwegian Sun will go in for a two-and-a-half week dry-dock refurbishment during April. As part of the line’s Norwegian Edge enhancement program, the ship will be sparkling just in time for its introduction to Havana.